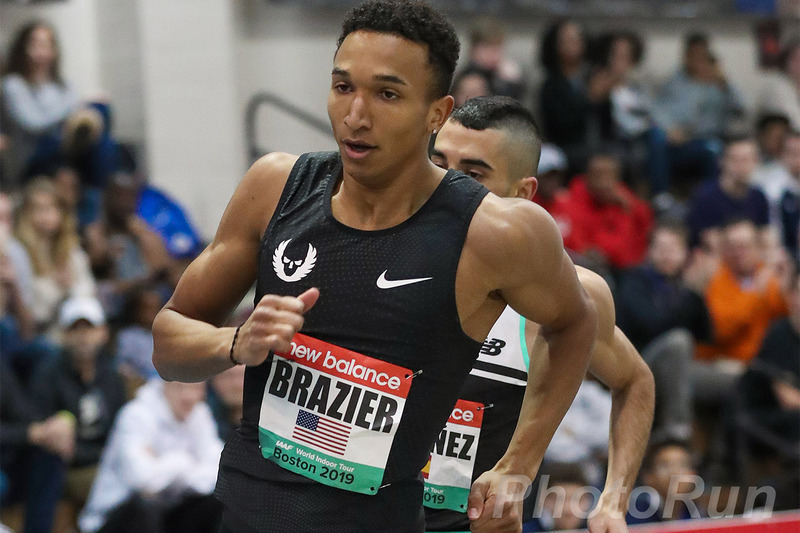 In only his second 800m race of the 2019 indoor season, Donavan Brazier has broken the American record for 800m indoors. Following a close victory at the New Balance Indoor Grand Prix on January 26 in Boston, Brazier toed the line at the 112th Millrose Games and went with the fast early pacemaking, passing 400m in under 50.0 seconds. While he paid for the fast early laps, falling back to second in the final meters, Brazier was rewarded for his work: a finishing time of 1:44.41, bettering the former American record set by Johnny Gray back in 1992. The time also makes Brazier the fifth-fastest man in history at the distance.